• DNA Fcd air filter flow: 176.1 CFM (Cubic feet per minute) @1,5" H2O corrected @ 25 degrees Celsius. 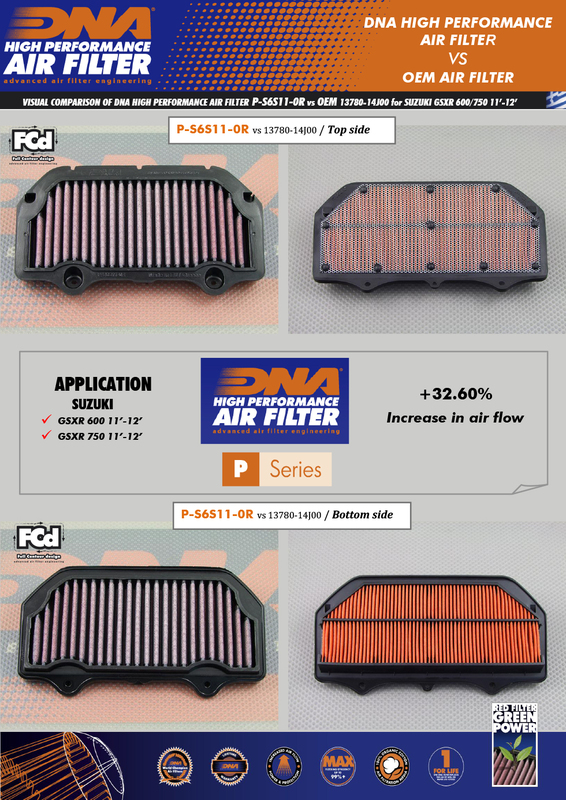 • The DNA filter has a 32.6% higher airflow than the Suzuki stock paper filter! Click the button below to add the DNA Suzuki GSX-R 600 / 750 Air Filter (2011+) to your wish list.